I blog professionally at a site called SemiWiki.com along with several other bloggers, and we write about the semiconductor world plus the software tools used to design semiconductors called Electronic Design Automation (EDA). 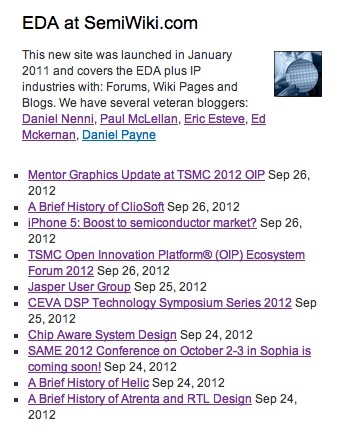 The new blogs on the front page of SemiWiki would work great on my marketing consulting site, MarketingEDA.com but in abbreviated form. 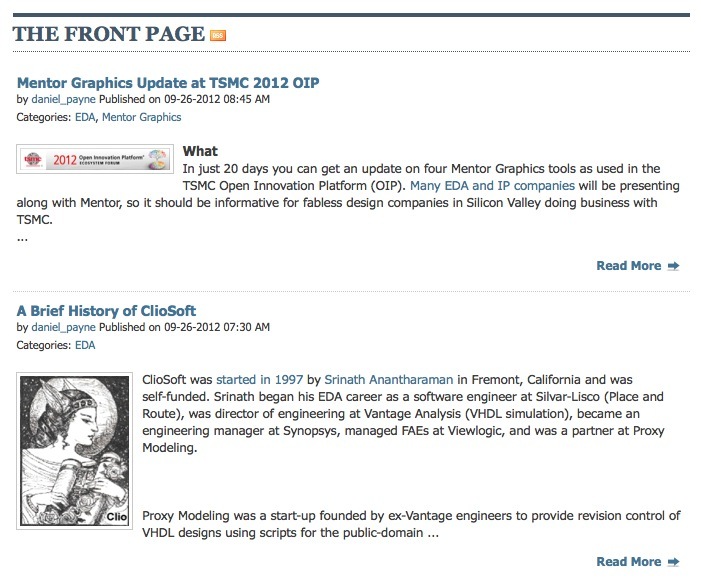 So how did I re-use the web content from SemiWiki on my site MarketingEDA? By clicking on that icon I can retrieve the RSS address which contains all the info that I want to re-use. If you have a WordPress site then it’s quick and easy to re-use content from other web sites that support the RSS standard.